Pro Afrobeats World DJ. Visit my Website WWW.DJSAUCEUKRAINE.COM DJ Sauce-Ukraine as tagged, is Nigerian Born and resides in Ukraine. He is One of the most Sort After DJ's in Ukraine within the African and International Community. DJ SAUCE Spins everywhere with vast experience from Nigeria to Ghana,Ukraine, Instabul Turkey to Houston, Chicago, New York & Atlanta US. With a huge and fast growing Online listeners with over 2 Million Channel Views and Over 10,000 Youtube Subscribers. He is also a favorite on Soundcloud/Mixcloud with Over 800,000 Plays and 100% positive feedbacks on his Mixtapes and African Refix's. 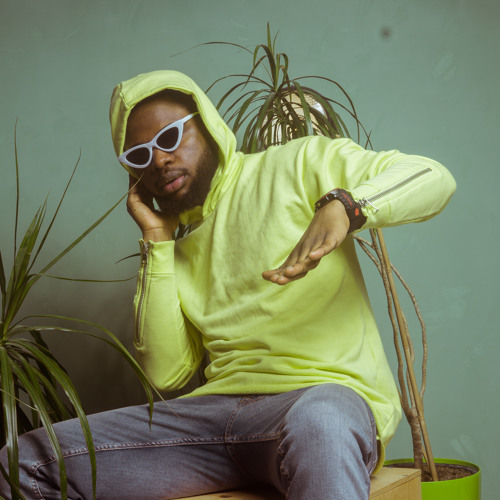 Considered the "DJ of Choice" for many events, DJ SAUCE is a All Rounder DJ in Afrobeats, Hiphop, Pop and EDM Music has steadily been premiering/promoting hot unfamiliar songs from Upcoming artistes in Diaspora through his mixtapes and events. Dance Summer Mix 2018 🌴 BEST ELECTRO POP MUSIC REMIXES 2018 | New Mashup 2018 Club MEGA Party Mix by DJ SAUCE UKRAINE. 2018 GHANA / NAIJA AFROBEATS / HIPLIFE MIX - DJ SAUCE UKRAINE. by DJ SAUCE UKRAINE. THIS IS HIP HOP MIX 2018 ~ Nicki Minaj, Gucci Mane, Future, 21 Savage, Cardi B, Migos, Drake by DJ SAUCE UKRAINE. DJ SAUCE ft. DOTMAN - REWIND IT by DJ SAUCE UKRAINE. Mr Eazi - Skin Tight THE SEVEN SAUCE UP EDM Remix by DJ SAUCE UKRAINE. Sia feat. Sean Paul – Cheap Thrills (Sauce Summer House REMIX) by DJ SAUCE UKRAINE. Wizkid Ft. Rihanna – Baba Nla ( Work / Remix) by DJ SAUCE UKRAINE.